Oil Rig 9 5/8 inch Casing is a slightly different metal string, called production tubing, is often used without cement in the smallest casing of a well completion to contain production fluids and convey them to the surface from an underground reservoir. When such casings are cemented in place, they aid the drilling process in several ways. Our oilfield 9 5/8 inch casing and tubing are in accordance with API Spec 5CT. 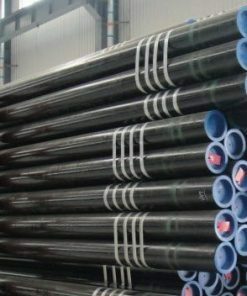 9 5/8 inch Casing is used for oil and gas well drilling, and tubing is used for extracting oil and gas from reservoirs. Our oil casing includes seamless casing and ERW casing. 9 5/8 inch Casing is the major structural component of a well. 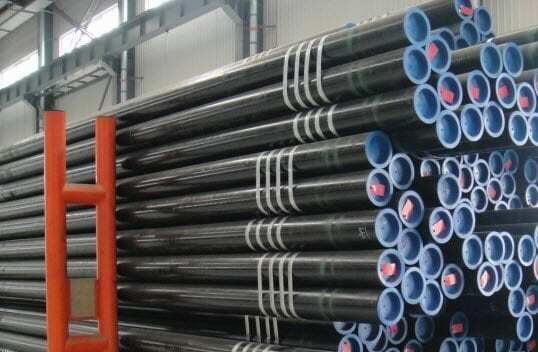 The cost of 9 5/8 inch casing is a major part of the overall well cost, so selection of casing size, grade, connectors, and setting depth is a primary engineering and economic consideration. Choose a used 9 5/8 inch Casing from our inventory selection and save yourself some money on your next oilfield project. This equipment is used and may show some minor wear. Please contact us for additional information about its condition. We offer wholesale pricing on new 9 5/8 inch Casing and pass the savings on to you. Contact us to compare prices. This equipment is brand new and has never been used. Our large network often has surplus 9 5/8 inch Casing that go unused. Contact us to see what we have in inventory. This equipment is considered new but may have some weathering depending on wear it was stored. Surplus equipment is usually stored at a yard or warehouse. We have refurbished 9 5/8 inch Casing that have been used and brought up to functional standards. It is considered a working unit. Please contact us for more information about the product. This equipment has been used and brought up to functional standards. It is considered a working unit. Please contact us for more information about the product.